11:15 am: Groth Vineyards & Winery-- please call ahead to make an appointment. 09:30 am: Napa River Inn (Limo pick up at any hotel/location in Napa). 10:00 am: Duckhorn Vineyards-- please call ahead to make an appointment. 03:00 pm: Limo will start heading back your hotel in Napa. 03:30 pm: Napa River Inn (Limo pick up at any hotel/location in Napa). 09:30 am: Hilton Garden Inn (Limo pick up at any hotel/location in Napa). 09:45 am: Sterling Vineyards - ride in the gondola and experience great views & wine tasting. 11:30 am: Castello di Amorosa . Tour the authentically-styled, 13th century, Tuscan castle and winery. 01:45 pm: Frank Family Vineyards (picnic lunch and wine tasting). 03:30 pm: Mumm -enjoy Napa Sparkling Wines. 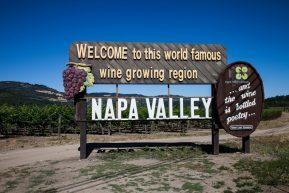 09:00 am: Napa Valley Hotel pickup (Limo pick up at any hotel/location in Napa). 02:30 pm: Limo will start heading back your hotel in Napa. 09:30 am: River Terrace Inn Napa Valley Hotel pickup (Limo pick up at any hotel/location in Napa). 03:15 pm: Limo will start heading back your hotel in Napa. 09:30 am: Napa Valley Marriott Hotel & Spa (Limo pick up at any hotel/location in Napa). 11:00 am: August Briggs Tasting Room. 12:30 pm: Gott's Roadside- Saint Helena, CA (burger joint for lunch). 03:15 pm: Peju Province Winery. 04:00 pm: Limo will start heading back your hotel in Napa. 04:30 pm: The Meritage Resort and Spa. Welcome to Apex Wine Tours & Limousine Service! Your adventure is about to start at the world famous wine growing region. Prepare yourself for touring one of the most known and premier regions in the world in the privacy of your own private limousine. It will be an experience like no other – relaxing, fun, and romantic. 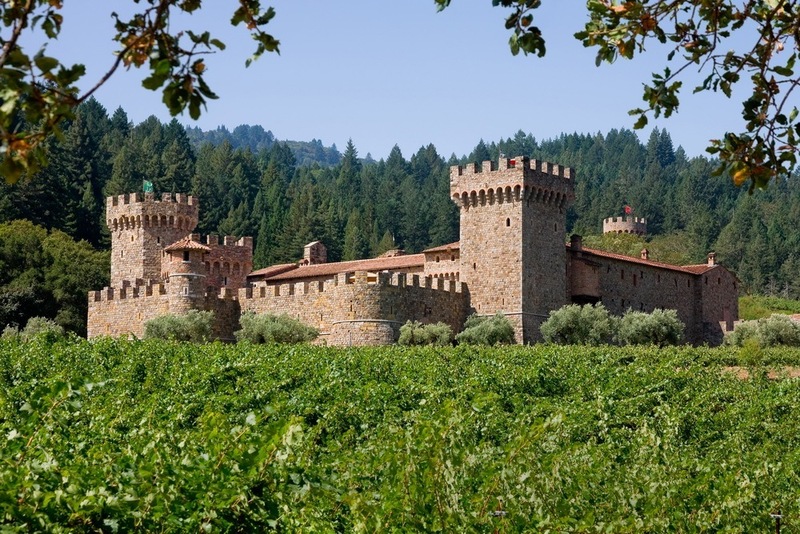 For some clients upon their wishes, their Napa wine tours trip can also be educational. Learning the different microclimates and soil attributes Napa Valley has to offer its guests. 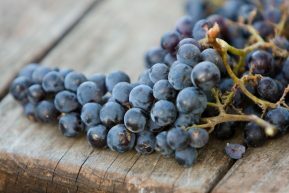 All of the exclusive characteristics of each area is what makes the wine in Napa Valley delicious and distinguished as well as unmatched in quality. Allow our professional chauffeurs to guide you and help you discover the many wonders whether tasting a glass of full bodied Cab in a cave straight from a barrel or taking a romantic limo tour through the Napa and Sonoma Valley. Soak in the natural and architectural beauty and tour this magical place in the luxury of your own private limousine. 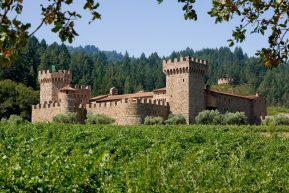 Fall in love with truly remarkable vintages, the beauty of vineyards in full bloom or an education and fun Napa wine tour through a cave. Take the road less traveled and tour some truly remarkable Napa Valley wineries off the beaten path. Let your professional limo chauffeurs work with you to ensure that your wine tour experience in Napa is exactly what you envision. Come for the wine and stay for the breathtaking views you won’t want to leave. Napa Valley has become the wine and food capitol of the world. There are surprises at every corner for wine lovers and food enthusiasts all throughout Napa and Sonoma valley. Let your taste buds be your guide while your professional chauffeurs introduce some of the hidden gems to you. It’s your special day and Apex Wine Tours will work hard to make sure that your occasion is even more special with our knowledgeable and customer service oriented limo wine tour chauffeurs, our dedicated dispatchers, and our meticulously maintained limousines, suv’s and sedans. We work hard to continue providing all of our clients with the highest level of luxury limo service year after year. 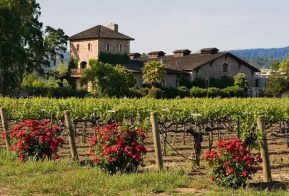 Return clients from all over the world call us to reserve tours at the Napa Valley wine country again and again. A little about Apex Wine Tours & Limousine Service: We specialize in private limousine and luxury transportation services that offer reliability, elegance and safety all for an affordable price point. With a commitment to accommodating all of our customer’s specific travel needs we offer services from Napa Valley and Sonoma Valley wine tours, weddings and corporate travel. Whatever your specific destination or event please feel free to call our friendly and knowledgeable customer service representatives to reserve your limousine, SUV, Sedan or MKT town car. Reserving a limo is a great choice for your safety, comfort and a piece of mind. For the professionalism, elegance and reliability our limo wine tour rates are unbeatable. We promise to never sacrifice quality for limo affordability but instead maximize both to make your transportation experience memorable and affordable for any occasion. All of our clients receive nothing less than luxury vehicles, professional limo chauffeurs, safe transportation in a private limo, SUV or sedan, and timeliness. When using Apex Wine Tours & Limousine Service you will get the best limo services for the most affordable rates. 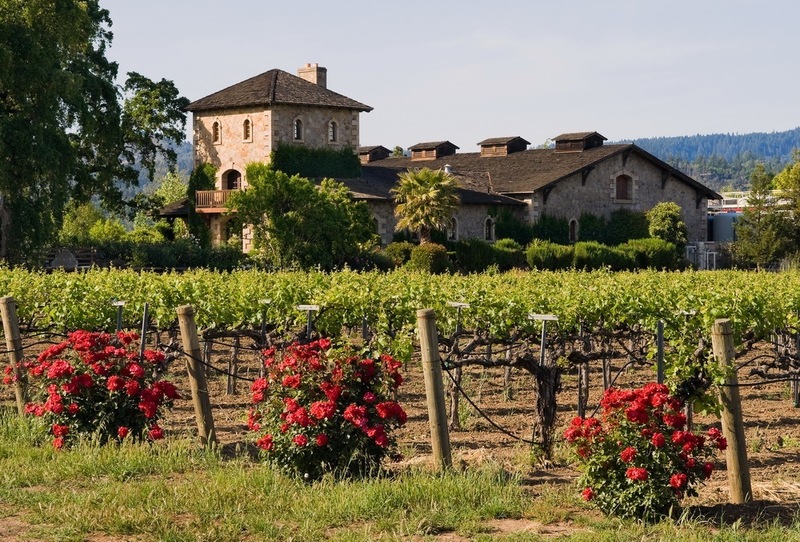 We offer limousine wine tours to Napa and Sonoma wine country by Apex Transportation. We also offer airport service to and from Napa and Sonoma Valley, corporate transfers and more. Sasha’s the best! He made sure that our itinerary matched. He made sure that we made the most out of our trip and he was always on time! A must do when visiting Napa, assuming you are drinking/tasting wine. Apex was extremely easy with confirmation email and text messaging. Apex is our go-to car service in Napa. Once again, we had a fantastic driver, Sasha, and he provided great advice, as we made our way around Napa and St Helena for two days. The car was very nice and a great experience overall. Highly recommend. Apex did an amazing job! Bruce, our driver, was VERY knowledgable about the area AND the wine making process. We received the benefit of his in depth familiarity with the people and their wineries. He was professional and friendly and always available but not invasively. Bruce provided recommendations if we wanted them and helped us stay on schedule with our reservations. The car was well equipped and clean with iced water bottles and soft drinks. We can’t say enough about our fantastic experience!! We’ll be back and we will ask for BRUCE!!! Many thanks to our driver, Mel for a wonderful experience in Napa! We were very pleased with Apex Transportation and will definitely use their services again. The entire day could not have been better! 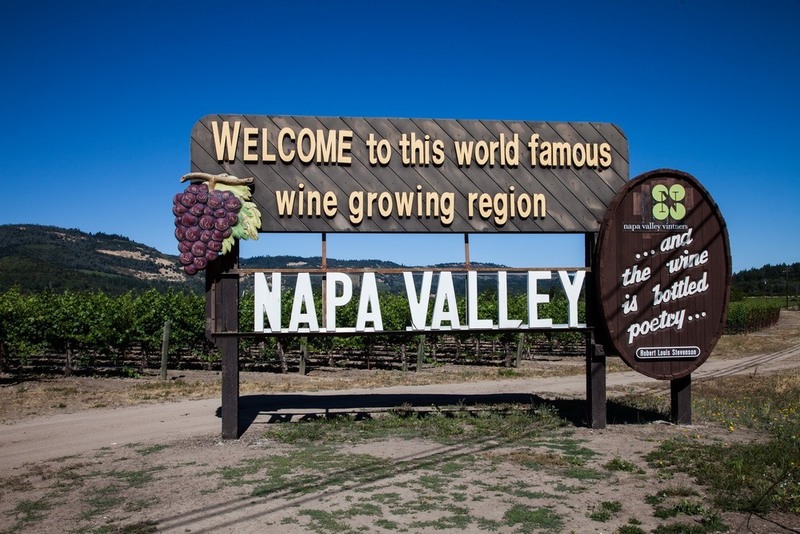 We recently toured Napa for a few days, and hired the car service from Apex. The experience was great- Sasha our driver was very friendly, everyone loved him. He had several really good suggestions on wineries and places to grab a bite as well. The car itself was nice and comfortable. Highly recommend. Eric was a great guy. He arrived right on time and had some great suggestions for wineries. Very knowledgeable and fun! Arrived at our hotel on time, Eric was extremely knowledgeable about the area and wineries and helped us get reservations for some of the wineries we visited. I highly recommend using Apex. We had a fantastic experience. Wine Country In Style With Apex! Had a GREAT time in Napa. Apex, and our driver Mel, were awesome…good times had by all. Can’t wait ‘til next time. What a wonderful way the see Napa wine country. Eric has some great suggestions on different wineries based upon our taste, and did not disappoint. Also he stopped at St. Helena and we were able to shop a bit. Fantastic day. We use Apex for airport transportation also, and they were very prompt, clean cars, nice conversation. Will use again on a return trip. You will not be disappointed! Apex Limo does a great job! Apex was great both in terms of service and pricing. Our driver, Mel arrived on time and was a great driver. He was super knowledgeable about wine in general and Napa/Sonoma in particular. Overall, it was a wonderful stress-free way to visit the wineries. I will not hesitate to use Apex again. Our limo driver and the company made our day special and greatly aided in the planning! Thank you Apex, Nellie and Peter! One of the best experiences of my life. We set up this tour to celebrate my 60 birthday. We had six people in our group (all adults) and everyone had a great time. Mel was amazing!!! He was extremely knowledgeable about all the varietals and all the vineyards. Everything went off seamlessly. He arrived early to pick us up and everything went off without a hitch. We had a very tight schedule but he made everything work. At the end of the evening we had left a few bottles in the car and he contacted us and came back into the city to drop them off on his own time. He went above and beyond. Thanks Mel. Our driver Mel was incredible!!! He was super knowledgeable about wine, the area, and each winery!!! We only requested 3 wineries he found 2 more to add that suited our taste! On top of that it was within our requested time limited! If you are reading this, request Mel and you will not be disappointed!!! Thank you very much Apex and Mel we had an amazing time!!! We had Alfredo as our driver and he was wonderful. Had 3 different winery visits and a lovely picnic lunch. Absolutely recommend this company – from beginning to end the experience was exemplary. Just spent 3 days with Bruce driving our group of 6 around Napa / Sonoma. He was extremely kind and knowledgeable about all things wine country. As we would drive into a winery, he would talk with us about the history of the property / winery and provided us with wonderful insight of the region, varietals, etc. We truly enjoyed our time with Bruce and would highly recommend him as a driver / guide during a stay in wine country. I have used Apex Limousine service twice now and both times I have had excellent service. My most recent trip was with driver Mel. He was on time, very pleasant and kept us on schedule throughout the day during our winery visits and lunch reservation. I would highly recommend. Had a great time today with our driver Bruce. He was very knowledgeable about the wineries around town and made a few great suggestions for lunch. Thanks Bruce! We had a fantastic time yesterday. Our car showed up – Apex had upgraded us to a stretch Limo… Our driver was Bruce. He was very knowledgeable about the area. Started the trip by asking us what we wanted for our day. He gave us information throughout the day about various restaurants, shopping, and wineries. Highly recommend this service. Professional from booking, through service, and payment. If you can request a driver – ask for Bruce. Thank you for a great time and fabulous memories..
We have used Apex 3 (maybe 4?) times and every time was great! Each trip was for a day in wine country.. I honestly have never used any other car service so I have nothing to compare to but I don’t feel the need to try another service. First off, making a reservation with Nelli is super easy and she responds very promptly. Each time we have used Apex, the driver was always on time, pleasant and the cars always super clean! Our latest day trip in Napa was with Mel. He was super cool and chill.. kept us on time from winery to winery (or lunch), entertaining and friendly but not to the point where it was too much or annoying at all. You can definitely tell Mel loves his job and can get along with pretty much any client! Can’t wait to make it back up to wine country… we will definitely use Apex again! Booking with APEX was our best decision for this trip. Our driver, Alex, was professional and knowledgeable. We had a packed schedule and he got us to everyone of our appointments. He also had excellent ideas to fill our gaps. We were so pleased with our experience that we booked our next trip immediately. The car appeared new and was very clean. This was my first time using this limo service and this was the best! Our driver was Sasha and he was the one that made the experience top notch. He let me know everything I needed to regarding the schedule and even time management pointers in order to make the most of our time while visiting different wineries in Napa. He accommodated us with even phone chargers and stopped off the road and helped my friend who was feeling sick. He was on time at every stop and was very professional. Even though he was very professional, he made us feel like family. I highly recommend this driving service because of him! Thank you Sasha!! I’ll be using this service again and hopefully I get to see you again!! We came to Napa/Sonoma for a couples trip and thankfully booked a stretch limo for two days to take us around. Bruce was amazing! He was so knowledgeable, honest, fun and gave us some wonderful recommendations for restaurants, bars and wineries (he even provided us with menus and call ahead info for quaint local hot spots). Well worth the money to spend time with friends while driving in style. Will definitely be calling Bruce and Apex next time we’re in Wine Country! Just spent two days wine tasting in Napa and our driver both days was Paul…he is just the best…knowledgable, incredibly friendly and and knows all the local hidden gems…down to the local delis. We will be back in August and will call Apex and must have Paul lead us again…What a great weekend…thank you Paul! We had a party of 8 who went wine tasting using Apex. Our chauffeur Alex Maydann was incredibly professional and delightful to talk to. The car was new and clean and well equipped. They confirmed our car the day before both on email and via text which I appreciated as it gave me one less thing to worry about. We will certainly use Apex and I’ll request Alex the next time we are in Napa. Excellent service! My experience with this company was flawless. The reservation was easy, and our driver Sasha was on-time and knowledgeable. I highly recommend! Going wine tasting in Napa Valley was on my sister’s “bucket list”. She and a couple friends flew in from Illinois to go to Napa. I decided it would be so much more relaxing if I didn’t have to be a designated driver & Apex made it true! They helped me plan our itinerary and then made the day just as easy and relaxing and fun! Our driver was accommodating and at the same time attentive. We had a wonderful day ! If you are considering wine tasting in the Napa Valley use Sasha (our impressive driver!) and Apex! We used Apex Transportation for my daughter’s 16th Birthday. I randomly selected them out of the phone book because they were local…I’m so glad I did. The service was impeccable! Scheduling the event was easy and the team was extremely professional. The icing on the cake was our fabulous driver Sasha! He now has a fan club of 16 year olds! He did a really great job and made my daughters birthday that much more special. I will be using Apex for all our special occasions and if you want a memorable event may I suggest you use them to and ask for Sasha! Excellent tour, our chauffeur, Peter, was outstanding. Knowledgeable, friendly, accommodating, fun. Had an excellent time. We had a great experience. Peter, our driver, had great suggestions on what wineries to visit. He was a lot of fun and even was our photog! !